Zerocopy at Color Image! - Print for FREE with Zerocopy! 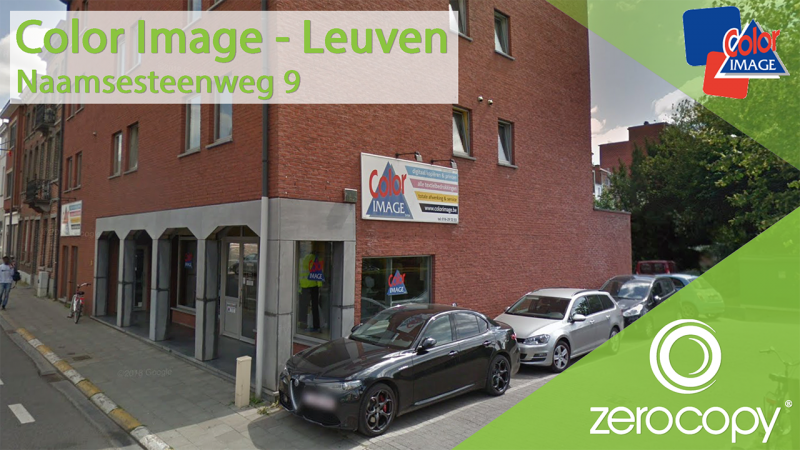 Zerocopy is introducing another qualitative and FREE printing location at Color Image Leuven (Heverlee)! Zerocopy is introducing another new FREE printing location in Leuven! Now you can also print all your copies at ‘Color Image’ in Heverlee. Color Image is known amongst all Heverlee students and specializes in copying and printing in printing on different materials. They also do digital work: you can send your texts digitally and they print it just the way you like. Reports and papers printed and bound here, posters, plans, publicity texts, logos and stickers: anything you like. You can even ask them to print your own text, design or picture on T-shirts. Color Image is just what you need for these kinds of difficult jobs. But, most important: You can print here for free with Zerocopy! Where is this magical place located? In Leuven, the new copy shop is situated at Naamsesteenweg 9 Heverlee (3001)! This is just at the outer side of the ‘ring’! As you know, at Zerocopy, every print is for free! So, we invite you to try out this new copy shop location: happy printing!